For over 60 years, Bamix® of Switzerland has been the world's most famous kitchenhand. Roger Perrinjaquet, invented an entirely new type of kitchen appliance. It was the world's first stick,or wand mixer. He calls the new appliance "Bamix®", an abbreviation of ..
Brightly coloured 2-pronged holders firmly attach to corn ears for clean, comfortable eating. Enjoy your corn on the cob safely and easily. Our clever corn holders interlock in pairs for safe storage and .. The Zyliss 3-in-1 Mango Slicer/Splitter is an easy-to-use tool to conveniently de-stones, slice and peel mangoes without mess. The micro-serrated stainless steel blade easily slices through mangoes cleanly. The Zyliss 2 in 1 Easy Grip Lemon Zester is uniquely designed with an ergonomic handle for maximum output and control. As well as efficiently zesting citrus fruits, the addition of a channel knife cuts thicker strips of citrus rind for cocktails and desserts, and .. The Zyliss 5-way opener is a compact gadget which is invaluable in the kitchen for opening bottles, glass jars, ring pull cans, twist off caps and pop tops. With its soft touch handle for a non-slip grip, this tool does all the hard work, saving breaking nails, painful hands and cuts. The Zyliss Lock 'n' Lift Can Opener easily and safely opens cans with no need to touch sharp edges. This well-designed Zyliss Can Opener locks onto cans to remove lids with minimal hand effort. The Zyliss Cherry and Olive Pitter quickly removes stones with just one squeeze. An adjustable splash guard for right or left handed use also protects your clothing from excess juice. Zyliss Easy Twist Apple Corer makes it easy to core any apple while keeping mess to a minimum. Whether prepping apples for a pie, or tart, or looking for a quick, healthy snack , coring an apple can be a messy task. Most apple corers are not sharp enough or require a lot of force, leaving a messy apple and sticky hands. Make quick work of preparing strawberries for a dessert or side dish with the Zyliss Strawberry Huller. Simply insert the huller into the fruit, squeeze, turn, and pull to remove the stem. The Hackit is the new kitchen utensil you have to have! Designed in Norway and MADE IN AUSTRALIA, it has a place in every household! The Zyliss Smooth Glide Vegetable Peeler quickly peels the toughest vegetables. The high quality stainless steel blade is perfect for peeling or creating ribbons of cucumbers, apples, carrots and potato's. The added feature of the sharp steel tip makes this a handy kitchen tool to remove blemishes. 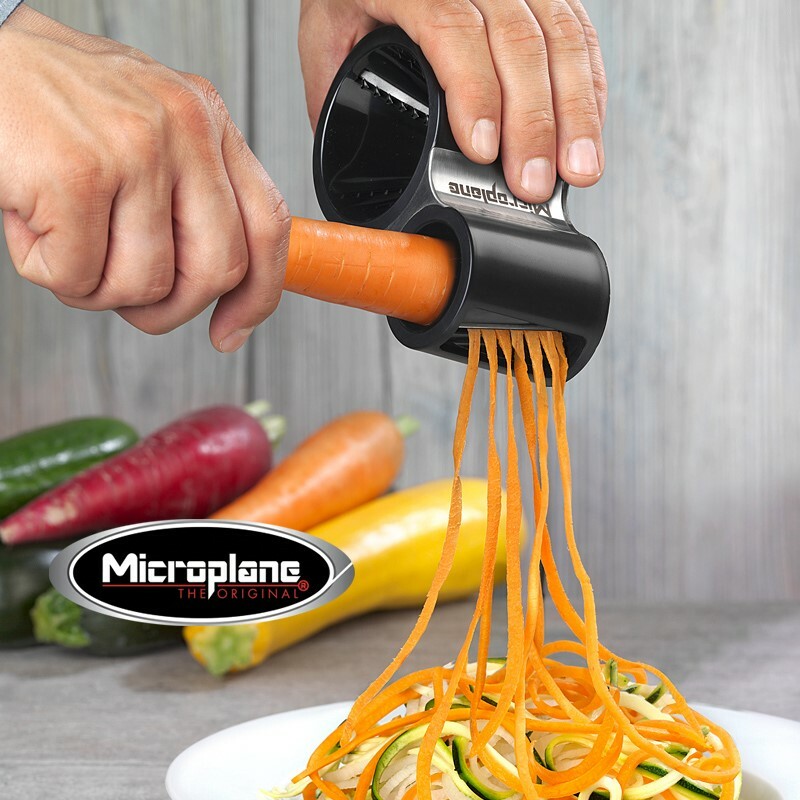 The Zyliss Julienne Peeler creates ultra thin, professional julienne strips of fruits and vegetables quickly and easily, in the comfort of your own kitchen. The extra sharp stainless steel swivel blade with julienne teeth, slice produce not once, but twice to achieve chef like results.